Search Engine Optimization Step 1: In Search Engine Optimization we improve results from the traditional search engine listings often referred to as the "editorial', "organic", or "natural" results. This is the best place to start improving search engine results! We take a competitive look at your web site and look for any major problems that can impede search engine results. Based on the results of the assessment we'll outline the next steps you should consider to help improve search engine results. Is the site Search Engine Friendly? 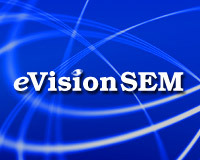 - Are there any major problems with your site that can impede search engine results? Initial Keyword Research – We’ll develop an initial list of keywords (Search phrases) that appear to be important to your business. We’ll ask you for a list of what you think the most important keywords are, we’ll look at any sources of important keywords you have such as prior keyword research, site reports or analytics, or results of a Search Engine Advertising Campaign (PPC) such as Google Adwords. Competitive Analysis - How’s your site compare to 1-3 of the competitors that keep you awake at night? Your Competitors Top Keywords - Using competitive intelligence tools we’ll attempt to determine the top keywords that are bringing traffic to 1-3 of your competitors' web sites. Search Positions - What’s your current position for a few important search phrases compared to one or more competitors? Link Popularity- What’s your linking position (Link Popularity) compared to one or more competitors? Are your search results being improved by a high volume of high quality incoming links to the site? Are results hampered by the lack of such links? Unique Visits - If the data is available we’ll compare the approximate number of unique visitors to your site to one or more of your competitors. Next Steps - We'll outline the next steps to consider to improve search engine results. Deliverables - The results are outlined in a document and discussed via a conference call. He speaks regularly on the subject of Search Engine Optimization (improving results from search engines) and is author of the book, The Guide to Search Engine Marketing, a step-by-step approach used by organizations seeking to optimize their websites. George also writes an online marketing newsletter for webmasters and Web marketing executives.